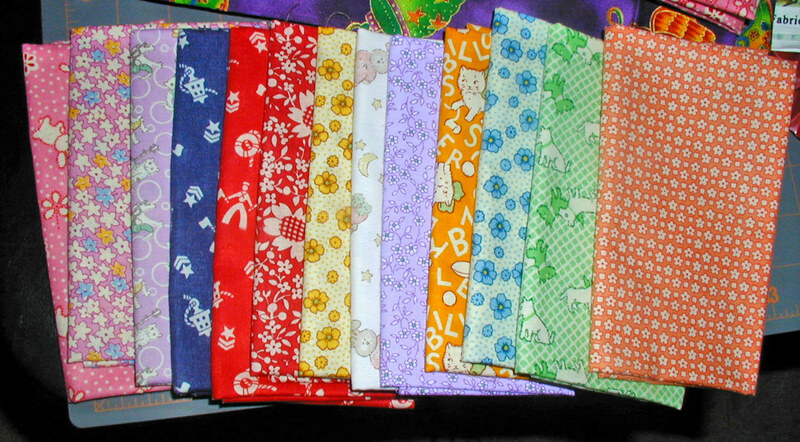 It doesn’t matter if you just want to get rid of your stash of fabric scraps or you want to make a unique colorful combination of different fabrics, matching them, especially patterned ones, can be quite a tricky business. Wrongly matched fabrics can result in a strangely hanging garment, while any disruption in pattern can draw the eye and look plain annoying. Why would you then even try to combine different patterns and fabrics? The answer is simple: when done properly, the combination can look amazing. It allows you to show off your creativity and make unique pieces. Here are three tips that should help you stay on the right track and create the perfect match. Just as not all materials are suitable for all styles and types of clothing, it is impossible for all fabrics to go well with each other. Some of the very important factors that influence the way fabrics look when combined are texture, weight, and shine. Denim, for instance, will go very well with cotton, but it will look poorly when combined with a high-shine fabric, like silk. Also, you should look for fabrics of the similar weight. Two different fabrics may look well together when you first sew them together, but if they weigh differently a few washing cycles can deform them. However, in some cases it is good to use one heavier piece of fabric (e.g. for the belt). If you are creating a color block effect, double-check that neither fabric bleeds colour. Combine colors from the same family – It’s as easy as it gets. Earthy tones go well with other earthy tones. Pastels go well with pastels. Neutrals mix up nicely. Jewel tones pair up with jewel tones. Regals look the best when matched with regals and brights can look great together. Understand the color wheel – This illustrative circular organization of colors shows relationships between primary colors. Colors that can combine very well are situated on the opposite sides of the wheel, and they’re called complementary colors. Although true complementary colors are the ones that are at the same distance from the center of the wheel, you can also combine the color from the outside edge with the one from the center. Go for the ombre effect – Different shades of the same color often look very well when combined. Ask for advice in a Fabric Store. People who work with fabrics know very well which fabrics and patterns go well together and why. Prioritize your pattern matching. When sewing a dress and combining different patterns, pay most attention to the center front of the dress, then center back, waistline, sleeves, side seams, and in the end details. Choose a unifying element. The element that unifies two patterns can be the same color (e.g. pink stripes and pink flowers), origin (e.g. two geometric shapes – squares and triangles, or organic patterns – leaves and flowers) or the pattern itself (e.g. green polka dots and red polka dots). Add pattern through details. Combining the patterns in equally proportional relation would only create a confusing effect. Instead, introduce different patterns through details (e.g. striped shirt with floral collar). Don’t ever mix animal prints. Just don’t. Mixing different fabrics and patterns may seem like too much work, but that is not entirely true. If you manage to master this skill, you will be able to create unique clothes and house décor fabrics which will make you stand out from the crowd.